A comprehensive hydration of the stratum corneum, living epidermis, and dermis. Acts as a moisture coach to teach skin the good mechanisms of hydration. For intensely dehydrated and mature skin. Apply in the evening over the entire face and neck. This gel-serum with exceptional glide-on power instantly quenches even the thirstiest skin. Its fine texture also improves the texture of the skin. Highly enriched in PHA (Precursor of Hyaluronic Acid), this hydration-activating concentrate works throughout the night to encourage the resynthesis of hyaluronic acid, helping restore the foundations of the skin so they gradually distill water to the surface. With regular application, the skin regains optimum moisture levels and greater density. 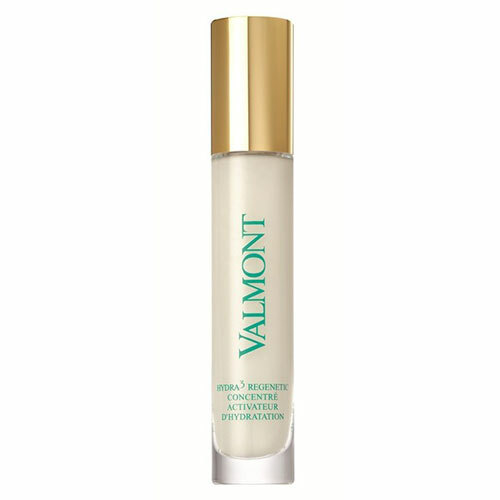 This exceptional serum delivers both immediate effectiveness and long-lasting anti-aging hydrating performance. At night, after cleansing the skin, apply about 4 pump doses to the face and neck.